About a year ago, a close friend sent me the link to your website. And, you’ll never know how much enjoyment I’ve derived from your candid and fun blog posts. I also refer back to, save, share, and am continually inspired. I so enjoy your candid and fun way with words, too. Not only have you expanded my horizons, you’ve saved me money! Thanks to your timely hot sales alerts, we ordered two chairs, bedding, shams/comforter, and a Robin Bruce Sleep sofa (your feature on sleeper sofas got us over the hurdle). All have been received except the sofa, and we are thrilled with everything! You’ve energized me to revisit my long-time favorite Blue & White Chinoiserie, so I’m underway on that too! I need your suggestions for a rich, dark blue wall paint to go in the adjoining small-ish guest bath. The tile, tub, sink & wc are Kohler crisp white, the floor is stained wood. Gosh, that was a darling note. Thank you Judy! How can I say no? In addition, a few others have been asking for a post about the best dark blue paint colors. Also, there are a few surprises coming up, that I hope you’ll enjoy. It’s been a long time since I did a post devoted to a specific color group. Well, except for the recent reworking of my top 20 best shades of white paint colors. pale blues that don’t scream out BABY BLUE. Strange thing to say to a student, if you ask me. Mostly, I like all colors, but some need to be in very small doses. haha. Here’s a good example of that, with a child who picked a shocking color for his bedroom. Love the Tiffany blue sleep mask. And, Audrey darling; you have a long way to go before you have to worry about getting fat. This, I believe, is the color of getting fat. Oh, I do hope that when she gets her life together, she goes and shops my hot sales for some beautiful new furniture! Feeling sad has never felt like the color blue to me; quite the opposite, actually, which we’ll soon see. However, feeling blue, or the blues is prevalent in art and especially in music, as well. uhhh… The Blues. Everyone knows that. The blues have long been associated with a genre of music that evolved in the deep south after the civil war. But, did you know that virtually all music today is a direct evolution of the original blues? Gospel, Spiritual, Soul, Rhythm ‘n Blues, Jazz, Big Band, Rock (in all of its forms), Hip Hop, Funk, etc. And, now, for a special treat related to the blues in music. Most of you guys know that I love to mix things up sometimes when I find something classic of superb quality, I can’t help but share it. And, especially when there’s a strong cross-over in artistic disciplines. I feel that it’s all connected. Plus, classic can be from any time in history and is not reserved to strictly classical music, art and architecture. The exceedingly knowledgeable host, John Wooler, does an incredible job of introducing the pieces. And, it’s no wonder. John’s 25-year career in the music industry includes working as a senior VP at Virgin Records for nearly 20 years as well as heading his own music production company where he discovered and launched the careers of many successful artists and bands. He has also taught music production at the college level. And, he is a 26-time Grammy Award nominee with five wins! Here’s a link to John’s Blues (+ Vintage Soul, R’n’B, Gospel) radio show which I’m enjoying listening to and learning about artists I’ve never heard of before. I highly recommend it. You can subscribe to the channel by clicking on the link. It seems to me that the blues is really more about a catharsis of sorts; like a good cry. I see the blues as a means to heal through music. If there was no healing going on, there would be no music at all. But… that is also how I feel about the color blue. It is the color of healing. In fact, many years ago when I studied acting in New York City, we had an exercise, amongst many where we imagined a healing blue light flowing through our bodies. Our teacher told us we could summon this say, at an audition to calm nerves. The reason I’m going on about this is that a lot of us have preconceived notions about color, based on either what we hear or what we think we believe. And, while some of you already love rich, dark blue paint colors, some of you might not be there yet. And, it’s fine if you never get there. But sometimes it helps to think of old things in new ways, I find. Here’s what the color blue is to me. Dark blues are mysterious– enigmatic. Blue is magical. Photo: via NASA. Pretty cool! No images of interiors today. 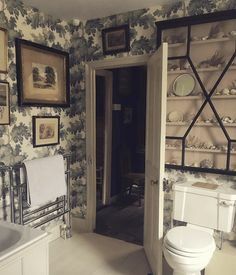 But, there are dozens of images featuring rooms with deep blues in these and other posts. Yes, yes. :] Thank you for your patience. They are right here. All of these are by Benjamin Moore and are in the Laurel Home Paint and Palette Collection except for Hague Blue which is by Farrow and Ball. 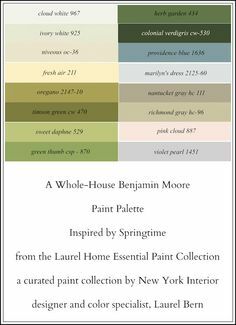 To see the Benjamin Moore equivalents to Farrow and Ball, click here. The blue section in the LH Collection is the largest with 18 shades from super pale to navy. Some may wonder why I did not include the popular Benjamin Moore color, Hale Navy. Three years ago before the paint collection came out, I was at the High Point Furniture market and that is when I saw Deep Royal at the Dunes and Duchess booth. Well, that was it for me. It is the perfect Navy Blue. One thing you might notice is that most of the blues have an element of warmth to them. These are not quite teal, but heading in that direction. It’s a personal preference. I suppose, I could’ve put in a nice indigo. (blue veering towards purple), but I didn’t. What are your best dark blue paint colors? Do you have any favorites? If so, have you used them and in what room(s)? Please share in the comments. We just painted our built-ins Gentleman’s Gray and every person at the paint store commented on how much they loved the color. It’s a wonderful navy with a green undertone. Laurel, just a quick PS on our recent email communications to let you know that our Robin Bruce SLEEP SOFA (thanks to your post about guest sleeping accommodations & Options!) was just delivered. We had ordered through One Kings Lane combining THEIR discount plus YOURS! I have to admit, I never dreamed I’d buy any upholstered piece of furniture without seeing it in person or sitting on it. However this English arm velvet sofa is masterfully finished, fabric is rich and exceeds my expectations, plus the construction and comfort are amazing. While the actual sleep sofa aspect has yet to be tested, we anticipate an equally-satisfactory outcome. So once again, thank you SO very much for Your guidance, solid endorsement of commensurate products, and measured commentary! You’re amazing! Kudos to you, Robin Bruce and One Kings Lane. This could practically be a blog post. But, it’s another testament to why I do not recommend paint colors based on a description which is always way too vague. It’s like telling the doctor you have a headache. He’s not going to be able give you the answer until he sees you at the very least. White Dove and Cloud White, on their own are in no way a stark white. But put them next to a darker color and in some lighting situations it can look surprisingly stark. And, that’s what you’re experiencing. However, if you’re looking at the color in only one spot, you’re not seeing the color. You might’ve just happened on the very brightest spot in the entire room. Paint White Dove in a different spot and it will look perfect. That is quite possible. So, that’s assignment number one. 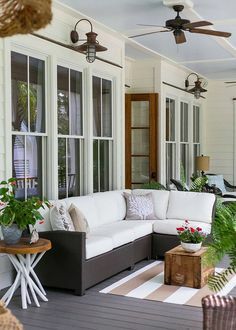 Maybe get a sample of Benjamin Moore Swiss Coffee oc-45 which is another Laurel Home paint collection white paint color. It is a slight bit deeper than white dove, but should not go yellow. It’s a very pretty off-white. That’s a very good question and I think I need to clarify something. When I say that black and navy go well together, I mean that one is the wall color and the other is an accent color. So, let’s say that you have a navy wall, you could have a black console table, or a black and white painting. Or a black and white striped chair. The palette of the room extends to everything from ceiling to floor and all of the furnishings. Concerning decorating with artificial plants, I think my biggest concern is the artificial plants looking cheap. I have some nice blue and white pots along with some solid green pots that I love. Where can I find plants that do not look so cheap but are not so expensive? Always love your posts! I recently took a client’s late 1990’s barn red dining room and convinced her to paint it a very deep navy. The color name sounds awful, but it is gorgeous in her home. We used Soot by Benjamin Moore. Absolutely gorgeous. I’d post a photo if I could! Railings by Farrow and Ball. Used for doors in Master bedroom and bath. I stumbled onto an excellent blue by accident–the Benjamin Moore store was closed so I had to use Home Depot. I found Night Flight by Behr and I’m loving it in a room with custom lower cabinets and shelving painted white, two limestone walls, a sloped ceiling and large windows on three walls. I painted my dining room Farrow and Ball Stiffkey Blue. 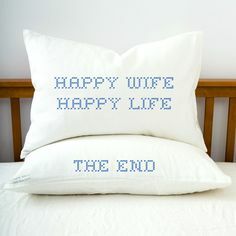 Everyone, including my husband absolutely loves it. It is the perfect navy, warm but with significant depth, and like all Farrow & Ball paints doesn’t have the flat one colour thing. I am so addicted to your blog and wish I had found you 40 years ago. I paint all my own rooms because I’m very particular about the edging from wall to trim. I have a question about paint. All the SW and BM high end paint say they cover in one coat. I have found that statement to be untrue. I use a 3/8″ roller nap on smooth walls. Am I doing something wrong? Also, I live in a 1890 house with all plain cast iron radiators. Should the radiators match the wall color (even if the walls are done in a flat finish) or should they be done in semi gloss to match the trim? Thank you for all your insight and keep up the great work! Thanks so much but, 40 years ago, I was a newly transplanted New Yorker from the midwest who had just gotten her first dancing gig on a cruise ship. I didn’t know diddly squat about paint colors. Love this post! I am fixing to remodel and I have been wanting to go the black/blue color scheme so bad!! This post just confirmed it for me! Thank you!! The particular navy blue color that I’ve used is BM Newburyport Blue. It’s from the historical colors HC-155. It has a lot of grey in it & it was the first navy I found that didn’t have a purple or green undertone. Your posts about color are some of my favorites so I am very happy to see this one about dark blue. Especially since blue is the most difficult color for me to get “right”. I have twice tried a dark blue and was unhappy with the result both times so I have just avoided it. Glad you pointed out the lean toward teal, rather than purple. Good to know. I have a feeling my lean is toward purple but I need to think about that. Love the deep and moody blues! :-) One of my favorites is BM Mysterious- we have used on ceilings and is striking yet oddly very neutral. Used in kitchens too! We used gentleman’s gray on our Silestone and Kohler concept kitchen and we get daily calls about that color. A fave of mine too! Another that is really almost black but with deep blue undertones is BM witching hour- using it in a project now and excited to see how it turns out! I love a good navy room! In our last house I had the dining room painted Martha Stewart Wrought Iron, which sounds like it would be almost black but was a good deep navy. Everyone who came to our home loved that room! Definitely going to get samples of one or two of these to throw on the wall.